The JNDC Legacy Flamed Birch snare is made from a hand-selected plank of musical grade North American Flamed Birch, which is steam bent and milled into perfection. This particular North American hardwood is renowned for the balanced musical register and projection it possesses, which make it an ideal wood for drum design and construction. The tonal quality of the drum can best be described as warm, yet powerful, exhibiting the balanced control of overtones and partial frequencies required for studio recording, as well as, providing the necessary projection and presence required for a live performance. The Legacy Flamed Birch snare response is also extremely sensitive and articulate within all dynamic ranges, making it the ideal instrument for any musical application or genre. 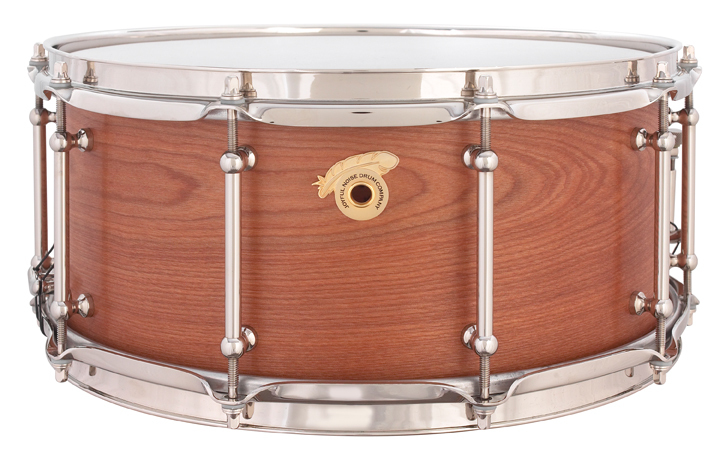 With bearing edges finished to machinist-grade tolerances and vintage-inspired snare beds cut to maximize snare response and color, these fine instruments are finished in a hand-rubbed pure Tung oil finish to maximize their vibrance and unrestricted performance, both key attributes of JNDC steam bent wood shell design.